This DemoReel was made on December 2006 as part of my new promotional package. 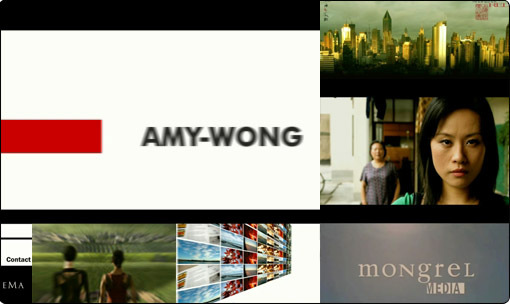 Some of the pieces that you can see in this Demoreel are Shanghai Red, Eve & the Fire Horse – web work for Roger Kupelian, web work for Firelight Cinema, Harmony: The Quest For Companionship, several photographs, etc. 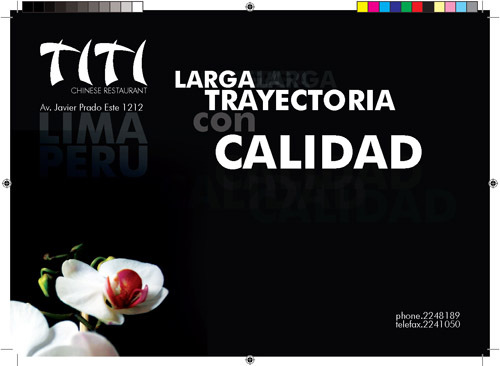 Print design for Chifa Titi, a Chinese Peruvian fusion cuisine restaurant, for The Inca’s Golden Book, distributed only in the top hotels of the southamerican country. 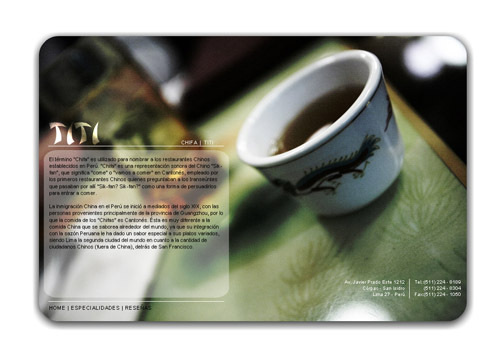 Website developed for the Chinese Peruvian fusion restaurant Chifa Titi, located in Lima (Peru). Chosen as the Peruvian Enterprise of the Year, is one of the most sophisticated places to eat in the city. 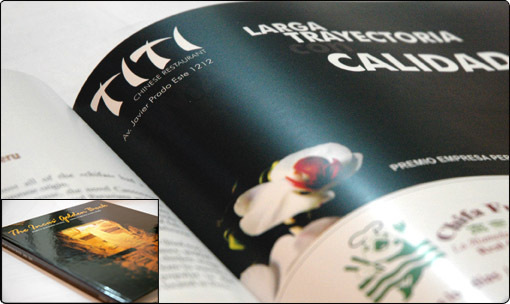 The website includes great photographic elements that enhance the information about the restaurant, a bit of Peruvian pop culture, dishes and small media snippets.